The American Hosta Society (AHS) publishes The Hosta Journal, The AHS Membership Directory, The Display Gardens of the American Hosta Society list, a Members’ Newsletter and an annual list of Hosta Registrations, as an educational service to members. In addition the Society has published a booklet The Hosta Adventure to disseminate information about Hostas to a wider audience. 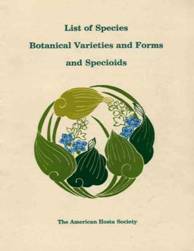 There are also a number of other books, guidelines, check lists, and other items are also available to learn more about the genus Hosta. Many of these are listed in Other Hosta Publications. The Hosta Journal is the Society's premier publication. It is mailed free to members of the American Hosta Society twice a year with athird issue available online in the Members Only section of the AHS website. Contents include feature articles on the cultivation and identification of hostas, the history of hosta hybridization and those personalities who produce them, AHS National Convention News, photographs and descriptions of the latest Hosta cultivars, and much more. Dedicated to the genus Hosta, it is a must for the hosta lover. Some articles may be found on this web site from time to time. (See "Sample Article" pdf). Businesses interested in advertising in The Hosta Journal can find further information here: Advertising in The Hosta Journal. Partial Sets of Journals from 1982 to 2012 – Sets start with 47 and go down to 36, all different journals per set for $2.00 per journal plus $15.00 shipping in the US. Individual copies are still available at $5.00 per copy plus shipping. Please contact Barry Ankney to verify sets or individual copies are still available and your shipping charges. This informative educational booklet explains the process of sporting in hostas. Based on over ten years of study, Drs. Zonneveld and Pollock have produced the most definitive work on this subject to date. 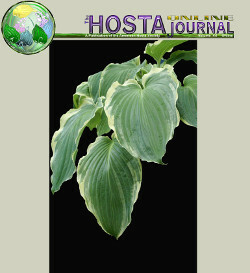 The serious hosta enthusiast will want to add this booklet to their hosta library. This booklet is filled with photographs and illustrations that supplement and enhance the scientific information. The Membership Directory is published every two years as a small percentage of the membership moves each year. The reports of the Business of the Society, the meetings of its Board of Directors and the reports of its various committees are now published, as they become available, on this website. A printed copy of this information is available to members upon request. There’s a new Hosta Adventure waiting for you. 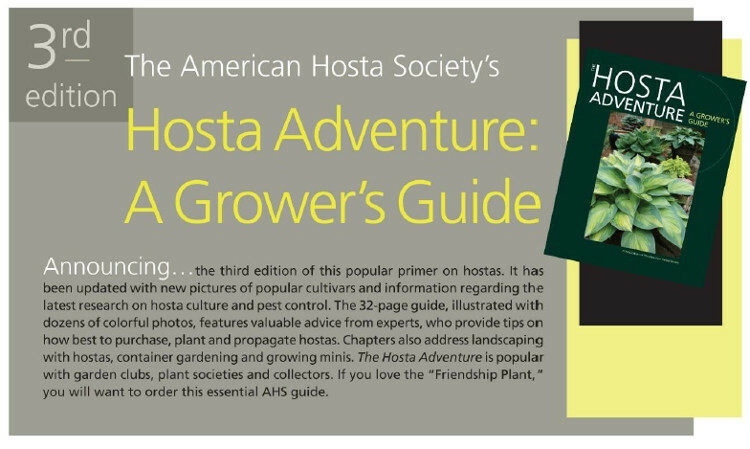 First published in 2001, the Hosta Adventure was intended as a guide for novices, but it appealed to all levels of hosta gardeners. The first two editions were popular additions to the libraries of new and seasoned gardeners. Now a new Adventure beckons. This publication should be part of every hosta grower’s library. Orders from foreign countries will pay any additional shipping charges. 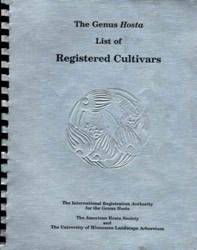 'The Genus Hosta - a list of registered cultivars' known colloquially as the The Silver Book is a list of hosta cultivars registered before 1992. Supplement #1 lists registrations between 1992 and 1998 and there have been annual supplements since then. The 'List of Species, Botanical Varieties and Forms and Specioids' contains information about hosta species, and the reclassification of hosta previously thought to be species. These booklets are a valuable reference for correct usage of hosta names and identification of hosta cultivars as they contain all the information provided by the hybridizer/introducer to register a hosta.